I love going to art shows. Since I’ve been in Austin, I’ve found that there are art shows almost every week. Most of the stuff in them are kind of bazaar, hippy type things that does not really reflect my tastes. 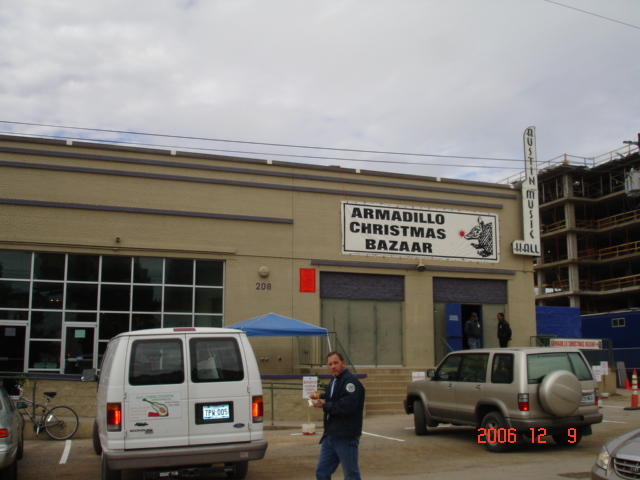 This weekend I went to the Armadillo Christmas Bazaar. There was an entry fee and there were higher end artists showing their crafts. Most of the items were out of my price range, but there were some really nice things. My husband found a little clay sculpture called the “Enchihuahua” and bought it for me. It is very whimsical and reminded him of our beloved chi-chi! It’s really a fun accessory for our new house. As a side note, I saw an acquaintance of mine that I met at a work conference a couple of weeks ago. He is evidentally an artist and has really nice work.